It’s 2059, and the United Kingdom – and the rest of the world – of this future is not just different, it has evolved rather differently from the history we know. In this world Queen Victoria was the last ‘good’ monarch, but her son is reviled as the Blood Prince, who dabbled in ‘unnatural’ practices using those with psychic gifts (known as voyants) which drove him into murderous acts (playing on the long-running legend that Jack the Ripper was actually a mad member of the royal family). Britain changes, becoming the Scion, a sort of Puritan totalitarian government (with echoes of Moore and Lloyd’s Norsefire regime in V for Vendetta), virulently anti-voyant in almost religious tones, with decades of propaganda from Scion largely persuading much of the population that all voyants are evil and must be arrested and dealt with. Secret police and uniformed patrols are all over the place, especially in the Scion heartland citadel of London, where the fortunate voyants have been recruited into criminal gangs which use voyants of different psychic abilities (from seeking information from the minds of normals – aumorotics – through to those who can channel ghosts, including even the spirit of a famous dead painter to create new works to sell). The unfortunate ones ‘busk’ in the streets, and like anyone living on the streets they are vulnerable, especially to the vigilant eyes of Scion. When Paige is finally hunted down and taken she finds herself not under arrest by the voyant-hating Scion, however, but by something quite possibly worse – the Rephaites. Large, strong humanoid creatures with a strong connection to the aether and an interest in collecting voyants with skills they can use, they have been in partnership secretly with Scion since the time of Lord Palmerston, a dirty secret at the heart of the state. Supposedly in return for a supply of voyant prisoners and equipment – and the use of the sealed off, lost city of Oxford – they are protecting humanity from incursions by a vicious breed of creatures which only they, with voyant help, can combat and prevent from over-running Scion then the rest of the world through breaches in the Aether made by so many voyants interacting with it. The Rephaites despise humans and treat their prisoners brutally as they train them, discarding those who fail, ruthlessly using the ones who pass their nasty tests. Paige, with her suspected hidden talents, is taken on by Warden, a Rephaite of some standing who has never taken on a human before. Life and training in Oxford at Reph hands is vicious and brutal, most of the humans treated dreadfully, save for a few who seem to take to the life and basically become collaborators. But all is not as it seems – the Reph may have a deal with Scion but they also appear to have their own agenda, while some of the Reph may be a bit different from others, but how can Paige discern friend from foe in this secretive, brutal, closed society, and even if she can, will it be enough to help her survive? I’m not going to potentially spoil it for you by revealing any more of the plot. However on the quite wonderful style and craft of words Samantha displays I really cannot heap enough praise – it is remarkably self-assured writing, most especially for a debut. This was one of those remarkable reads where within a few pages I felt totally drawn into the world the author drew around me. It’s an intoxicating mixture of elements – personal growth, struggle for freedom (in quite a few ways – from the puritan, authoritarian Scion regime, the vile Rephs, even her ‘family’ of criminal voyants is a form of forced control), they way society view the ‘other’, with good use of fantasy and science fiction elements in a tight, gripping narrative that pulls us right along the journey with Paige. The settings too, from this authoritarian future London ‘citadel’ to Oxford, sealed off for centuries, it’s ancient buildings and streets still lit by gas lamps like the ghost of the Britain that was before the Blood Prince scandal and the rise of the Scion, while that setting also reminds the reader, in the good way, of Pullman’s excellent Dark Materials novels, a fully and well-realised world. It’s not difficult after reading this to see why such a new and very young author has Bloomsbury very excited, and why it has already been sold on into quite a few other countries, while Andy Serkis has taken out a film option on it. I get through a lot of books and comics, but I can say this is the most engrossing read I have had so far this year and frankly the most absorbing and compelling debut I’ve read since the superb Jonathan Strange and Mr Norrell. Hugely recommended. 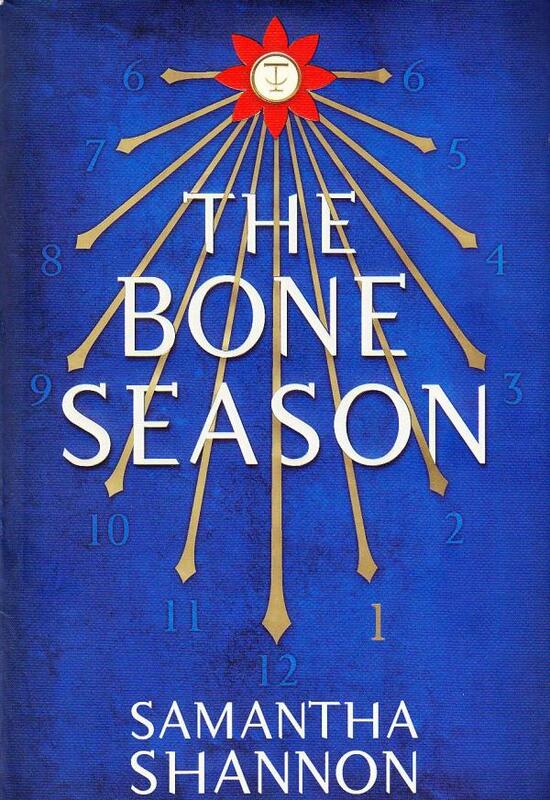 This entry was posted in books, reviews and tagged Bloomsbury, Bone Season, books, debut, fantasy, reviews, Samantha Shannon, science fiction by Joe. Bookmark the permalink.